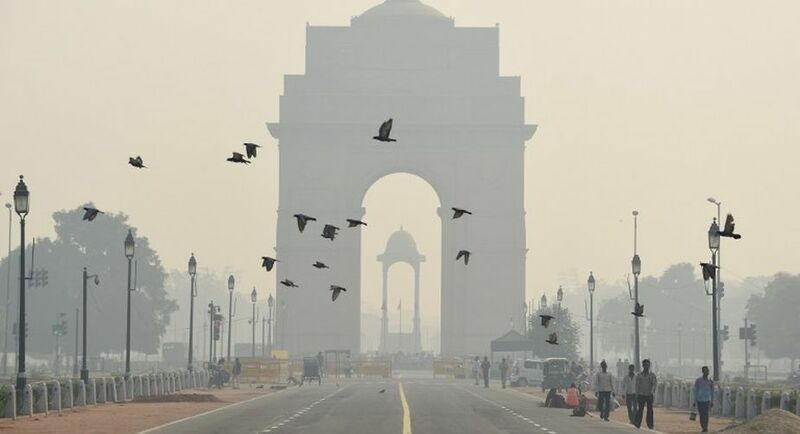 The study comes at a time when north India is facing a serious crisis due to rising levels of pollution. Even a two-hour exposure to air pollution mainly in the form of traffic exhaust can wipe out the positive health benefits of walking on the lungs and hearts of the elderly, researchers have warned. The findings showed that even short-term exposure to traffic exhaust can have negative effects on both healthy people, as well as those with pre-existing cardiorespiratory conditions such as chronic obstructive pulmonary disease (COPD) or coronary disease. “This adds to the growing body of evidence showing the negative cardiovascular and respiratory impacts of even a short, two-hour exposure to motor traffic pollution,” said Junfeng “Jim” Zhang, Professor at Duke University in North Carolina, US. On the other hand, people who walked for two hours in a large city park — away from direct exposure to street-side traffic fumes — reduced arterial stiffness by more than 24 per cent in healthy and COPD volunteers and more than 19 per cent in heart disease patients. However, those who got exposed to pollution experienced a maximum reduction of just 4.6 per cent in arterial stiffness, 16 per cent reduction in COPD and an 8.6 per cent reduction in heart disease. “For many people, such as the elderly or those with chronic disease, the only exercise they very often can do is to walk,” added Fan Chung, Professor at the Imperial College London. The study, published in The Lancet, highlights the need for stricter air quality limits and better traffic-control measures in our cities as well as greater access to urban green spaces for people to exercise, the researchers said. According to a UN Children’s Fund (Unicef) report, children’s exposure to air pollution can permanently damage their brains. Pregnant women’s exposure to traffic related air pollutants — especially PM2.5 — were associated with two-to-six per cent increased odds of low birth weight and one-to-three per cent increased odds of being small for gestational age, revealed a study published in the journal BMJ. “Combined with evidence from other studies, our findings underscore that we can’t really tolerate the levels of air pollution that we currently find on our busy streets,” Chung said.